The tiny wrinkles under and around our eyes are usually one of the earliest signs of aging. This can make you feel self-conscious whenever you go out or look in the mirror. The sun, smoking, and other lifestyle factors can cause your skin to prematurely wrinkle, which makes you appear older than your actual age. Most women try to hide these wrinkles under layers of makeup or prevent them with night creams. If you aren’t ready to give in to the wrinkles, here are a few ways to regain your youthful appearance. Botox is one viable option in order to get rid of those tiny wrinkles around the eyes. Botox is injected into specific areas via tiny needle and works to relax contracted muscles that are producing the wrinkles. Botox is a very safe and popular method that has been met with great success, making it well worth the cost. Botox lasts approximately four to six months so additional appointments will be required to maintain your youthful look. Fraxel laser treatment is another option for getting rid of those tiny wrinkles around the eyes. This therapy is FDA-approved for treatment of wrinkles, sun spots, age spots, and acne scars. Fraxel laser treatment does not require any downtime (recovery is similar to a sunburn). For those that want to avoid invasive treatments this is a very good way to get rid of wrinkles. CO2 Laser Resurfacing is known to help those who have severe wrinkles. This method uses Fractional CO2 lasers to make multiple microscopic laser columns that penetrate the deep layers of your skin. This method is exceptionally useful in improving the look of scarring, age spots, and deep wrinkles. This new method is groundbreaking in anti-aging treatments and an ideal method for those who want to avoid surgical treatments. You don’t have to look your age with these new anti-aging treatments! Regain your confidence and a more youthful look with these very effective treatments. You no longer have to avoid the mirror… .feel beautiful and young again! 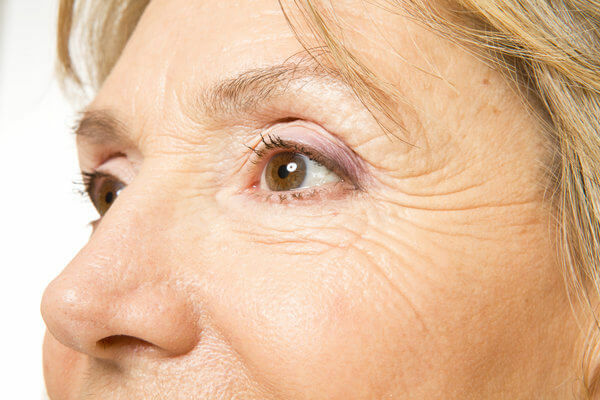 Banish those wrinkles around your eyes with the benefits of Botox, Fraxel, and/or CO2 lasers. These cutting- edge treatments for fighting aging are accessible to everyone and very affordable. Let the experts at BodyLase® help you select the right procedure for you and your skin.